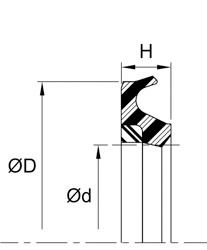 UR Rod Seal is a non-symmetrical hydraulic U-Cup type seal. 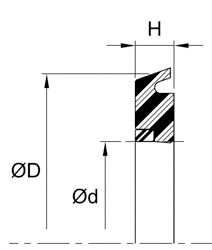 The machined, beveled lip faces the rod to provide both low and high pressures as well as to wipe the rod of the fluid film. 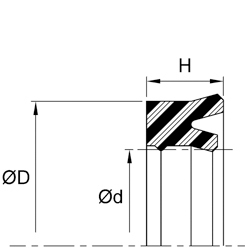 It is an economical design, exhibiting good wear and extrusion resistance. 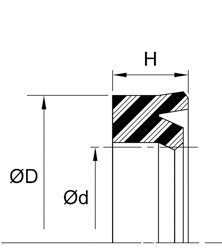 E5 profile is a non-symmetrical rod seal designed to seal both lubricated and non-lubricated air. To ensure that critical surfaces retain lubrication, the seal incorporates a radiused edge on the dynamic lip to create a hydroplaning effect over pre-lubricated surfaces. BS profile uses the basic UR profile but adds a secondary lip on the inside portion of the heel for added stability, preventing the seal from rocking inside the groove on high cycling / long stroke type action. BS/3L multi-lip rod seal combines the sealing capabilities of a lip-type, U-Cup seal along with the multi-lip sealing effectiveness of compression-type stacked packings. The multiple sealing edges insure dry-sealing performance while minimizing friction. BS/SL Similar to the BS/3L design, this profile has added serrations on the dynamic lip to enhance the pump-back action, ensuring dry rods, especially useful on industrial/mill-type cylinders. RE is a high-pressure rod seals incorporates both an Acetal anti-extrusion ring for pressure protection as well as a unique profiled energizer to ensure lip loading in all conditions. Twin-lip design insures dry rod sealing and added stability in the housing. 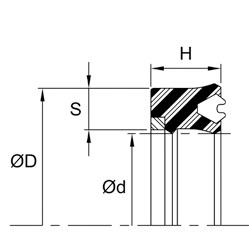 BT is a non-symmetrical design for use in hydraulic rod sealing applications, the BT profile incorporates a more robust primary sealing lip and improved stability in the housing by moving the secondary lip to the very base of the heel. 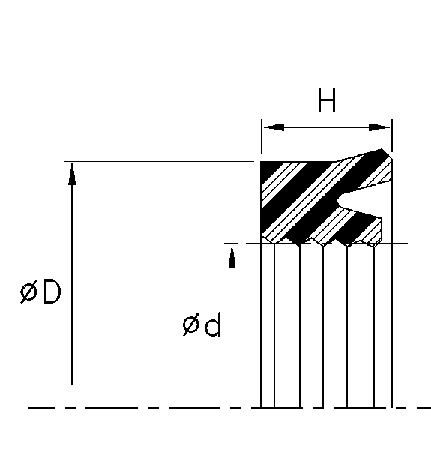 BT profile may be used as a stand-alone seal or in combination with the BR-profile buffer seal for more critical sealing applications. 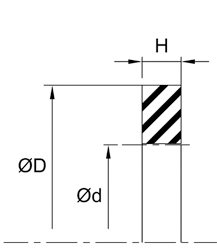 BR is designed to be used as a buffer seal alongside a secondary U-Cup type seal. 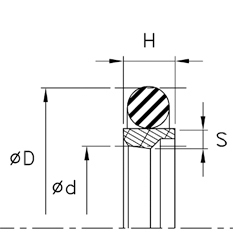 This profile provides the majority of the sealing while protecting the secondary seal; it also incorporates a flexible static side lip and slotted pedestals to allow for a check-valve function, thus avoiding the risk of pressure-trapping. HBY Buffer Seals are used as buffer rings along with secondary U-Cup type seals. 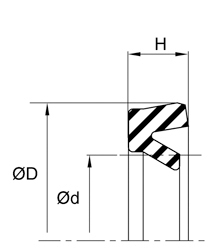 The anti-extrusion ring protects the rod sealing area from pressure spikes and the notched lip allows a pumping-back action suppressing any pressure-trap effect. CAT SEAL RING is a simple, flat urethane buffer seals protects the secondary rod seal from pressure spikes. It is often found on older types of mobile machinery. 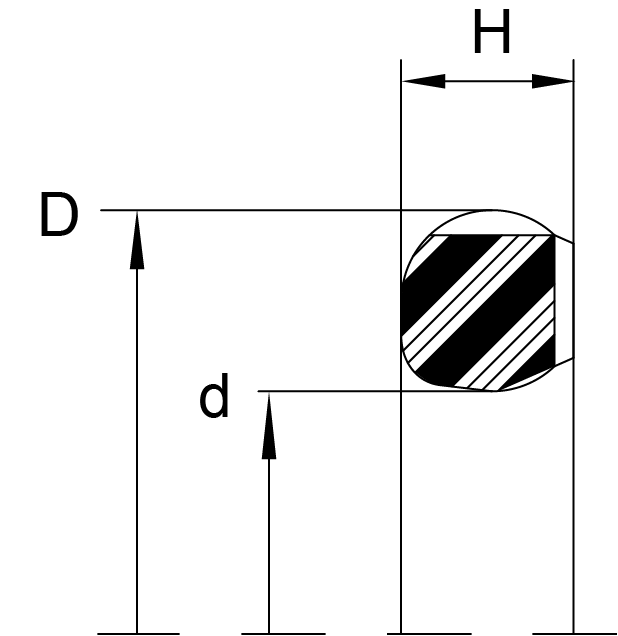 CAT STEP SEAL is a Caterpillar-specific two-piece buffer ring similar to the RSS design, but using a square energizer ring. 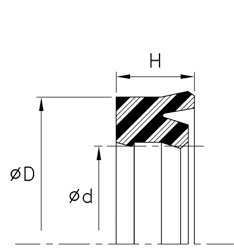 RSS seals may be used as primary (buffer-type) seals along with a secondary U-Cup type seal or in a tandem application with itself. A dual-material type seal, the dynamic sealing element offers a low-friction environment while the elastomeric static ring insures proper pre-loading of the seal assembly. 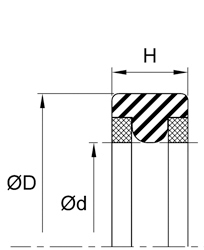 R2B design can be used either as a low-to-medium duty rod seal on hydraulic actuators or as a secondary seal used along side of a RSS-type seal. The PTFE-based cap and standard-sized O-Ring loader insure good wear resistance and long cycle life. 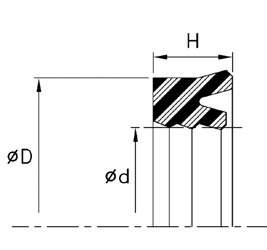 TR profile rod seals are designed to retrofit O-Rings in no-backup type grooves. T-Seals offer a tight sealing assembly with a stable cross-sectional shape and added extrusion resistance with the help of the back-up rings. 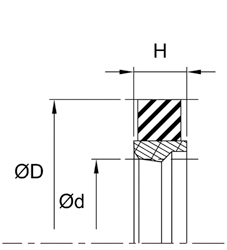 V6 profile provides a check-valve action used in the cushioning of pneumatic cylinders. 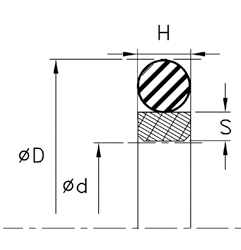 It seals positively on the cylinder end stroke and allows a quick release in the opposite direction through a series of slots and pedestals, allowing the pressure to blow past the seal.